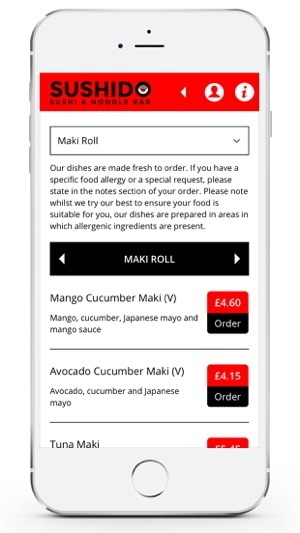 Keep up to date with all that happens at Sushido, from booking a table, to quick and easy takeaway ordering on the go. Our app will not disappoint. OFFERS - View our current offers and save when ordering through the app. 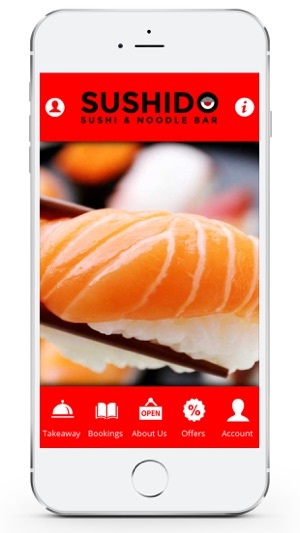 TAKEAWAY - Order yourself a takeaway via the app. Simply select your food of choice, let us know about any dietary requirements and we’ll do the rest! BOOKINGS - Reserve yourself a table at Sushido. ABOUT US - Opening times, contact details and how to find us, all at the click of a button.